Around 1350 Reginald Cheyne, the Clan head, died ending the male line leaving two daughters to inherit the Cheyne estates. One of his daughters Mary married John, second son of Edward Keith the Marischal. In 1354 John Keith took possession of Ackergill and Inverugie. 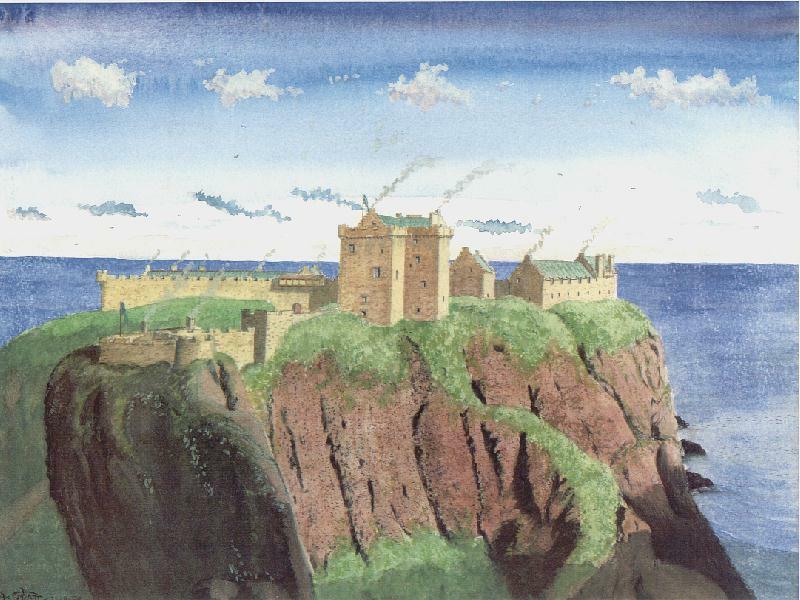 His son likely built the tower of Ackergill in an effort to keep up with Sir William Keith the Marischal who raised a great L-plan keep on the cliffs of Dunnottar near Stonehaven. In the 1500's a low barmkin courtyard wall was also raised around Ackergill to provided further protection not only for the tower but for the wooden barns, brewhouses, stables and stone dovecots which sprung up alongside such castles. Around the same time an oblong plan tower house with round corner turrets was also constructed on the Keith estate of Inverugie. In 1510 a document names Gilbert Mowat as captain of Ackergill on behalf of the Keiths. By 1538 the male line of the Ackergill/Inverugie Keiths failed and Ackergill was then granted by King James V of Scots (1513-1542) to William Keith Earl Marischal and Lady Keith his wife. In 1547 the Sinclairs of nearby Girnigoe led by George Earl of Caithness attacked and seized Ackergill by surprise, taking Alexander Keith said captain and his servant John Skarlet hostage, detaining them at Girnigoe. Later Queen Mary the Regent (Mary Queen of Scots mother) granted remission to George for his actions. She also installed Lord Oliphant as a temporary keeper of Ackergill in 1549 perhaps to separate the feuding Keiths and Sinclairs. However the Earl of Caithness and the Sinclairs again besieged Ackergill in 1556 when it was in the hands of William Keith Earl Marischal. But once again he received remission for his actions which angered the Keiths. In the early 1600's Ackergill passed to the Sinclairs Earls of Caithness by legal means, though they appear to have neglected the upkeep of the building and it became run down. 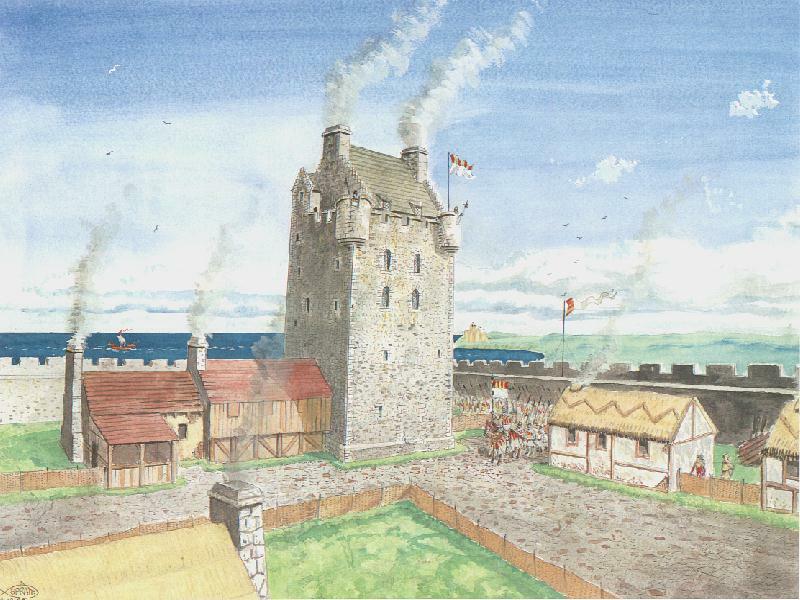 In 1623 it was besieged by Sir Robert Gordon in his feud with the Earl of Caithness. But the castle surrendered without an actual assault or bombardment. It is claimed that Cromwell garrisoned Ackergill in 1651 around the same time as his siege of Dunnottar castle dragged on in his pursuit of the Scots crown jewels (now on display at Edinburgh castle) used to crown King Charles II of Scotland and England (1660-1685). By the early 1700's Ackergill was held by the Dunbars of Hempriggs. It was likely they who built the modern lean to block house against the earlier tower. In 1726 a document describes Ackergill as being "a strong house, and yet in (need) of repair, and betwixt (between) that and the sea is a good new house lately built." In the 19th century the tower had new larger windows cut into it with new raised battlements/bartizans and an extended roof to the turnpike stairwell totally out of character with the original 1400's tower. Today Ackergill is run as a hotel.